Teaching and Educational Aide Substitutes Needed! Interested in becoming a classroom substitute? We would love to see many of our community members in our classrooms, helping students in these vital roles. 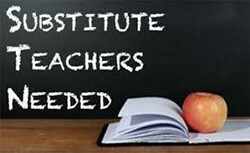 The Big Walnut Local Schools fills our substitute needs for both teaching and non-teaching/educational aide subs through the Educational Service Center of Central Ohio (ESCCO). Applications and information can be found by accessing the ESCCO website at the link below. You can also call 614.445.3750, with questions about the application process.